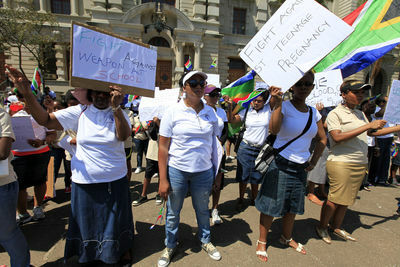 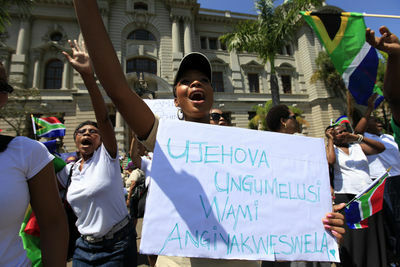 Women hold signs and chant calling to stop violence during a prayer walk organized by the Christ Kingdom Citizens in front of the City Hall in Durban. 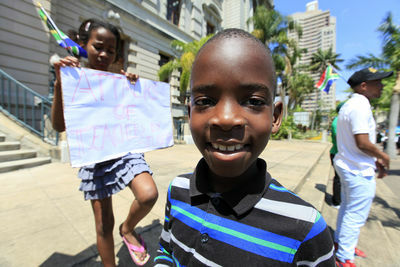 Portrait of an African boy during a prayer walk organized by the Christ Kingdom Citizens in front of the City Hall in Durban. 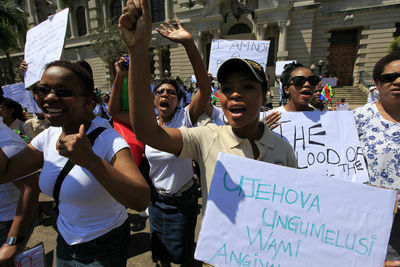 Women hold signs calling to stop violence during a prayer walk organized by the Christ Kingdom Citizens in front of the City Hall in Durban. 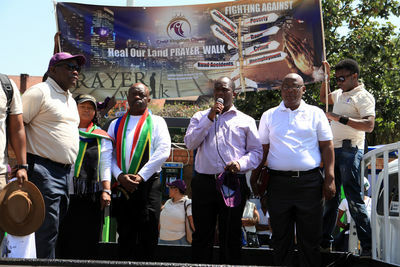 Priest holds speech during a Prayer walk organized by the Christ Kingdom Citizens in front of the City Hall in Durban. 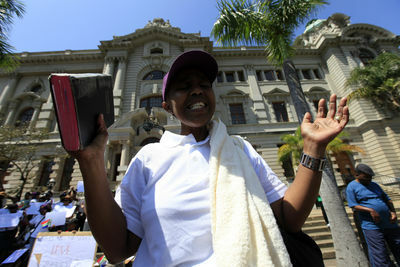 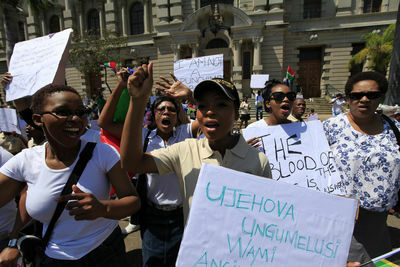 Woman chants during the Prayer walk organized by the Christ Kingdom Citizens in front of the City Hall in Durban. 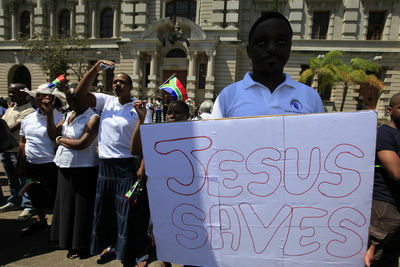 Man holds signs 'Jesus saves' during a prayer walk organized by the Christ Kingdom Citizens in front of the City Hall in Durban. 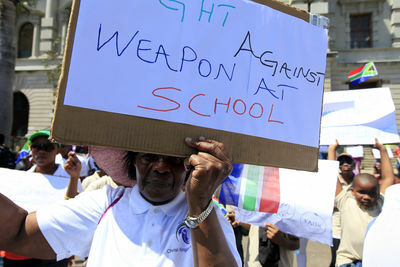 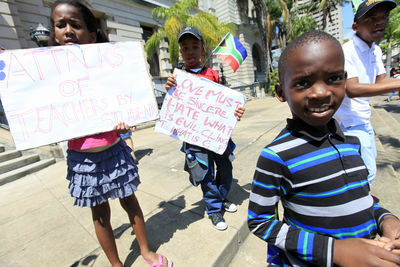 African Children hold signs calling to stop violence during a prayer walk organized by the Christ Kingdom Citizens in front of the City Hall in Durban. 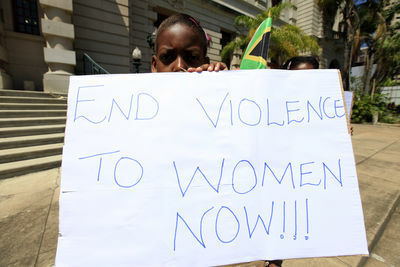 African girl holds sign written 'End violance to women now!' 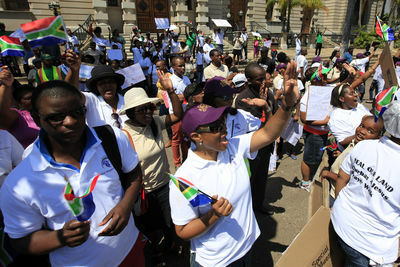 in front of Durban City Hall.